The World War I memorial has been a controversial topic in Honolulu for nearly 50 years. Is a 45-year fight finally over? Hawaii Gov. 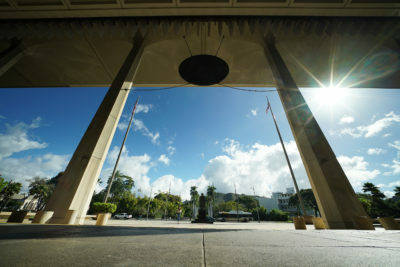 Neil Abercrombie and Honolulu Mayor Kirk Caldwell say the walls of the Waikiki Natatorium will be torn down. The two unveiled their plan Tuesday to rip apart the dilapidated World War I memorial and replace it with a new beach and park area. It’s going to cost $18.4 million, they said, which is a fraction of the $69.4 million alternative to restore the memorial and modernize its amenities, namely the saltwater pool and bleachers that have been off-limits to the public since 1979 due to neglect and safety concerns. 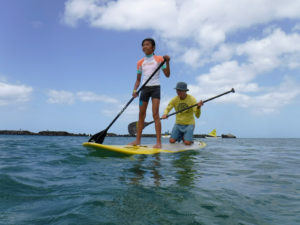 Abercrombie and Caldwell plan to keep the war memorial arches, but they want to move them away from the water, and closer to Kalakaua Avenue. 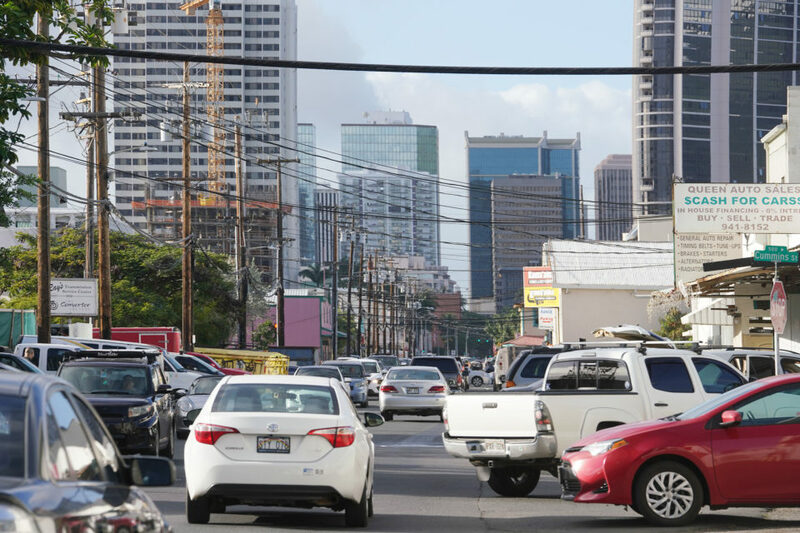 In essence, the governor and mayor are pursuing a complete overhaul of a popular stretch of waterfront real estate wedged between Waikiki and Diamond Head. But while Abercrombie and Caldwell’s joint press conference was marked by sunshine, smiles and a singalong of “Hawaii Aloha,” the announcement came as a surprise to those who have advocated for decades to restore the Natatorium. They say they weren’t notified of the new plan before the announcement, and feel like they were shut out of any final decision making. Hawaii Gov. 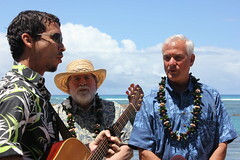 Neil Abercrombie and Honolulu Mayor Kirk Caldwell sing with local musician Makana. Friends of the Natatorium is a nonprofit that has spent the past 30 years pushing city and state officials to restore the the war memorial. They want it maintained to preserve the memory of the soldiers from Hawaii who fought and died in World War I.
Apo said that up until recently Friends of the Natatorium has always been involved in discussions about the memorial’s future. That all changed, he said, when Caldwell took office and Abercrombie apparently abandoned his plans for replacing the memorial with sand volleyball courts. 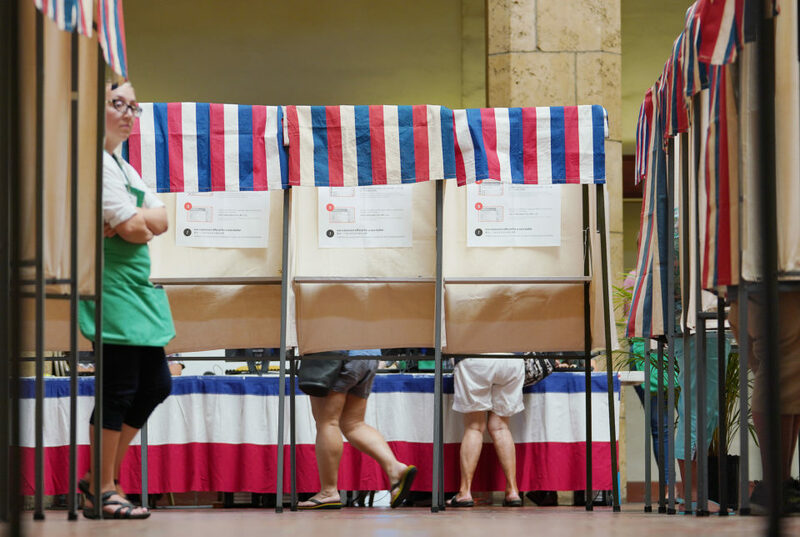 Meanwhile, Abercrombie and Caldwell were surrounded by supporters of their plan, namely members of Save Kaimana Beach and the Kapiolani Park Preservation Society. 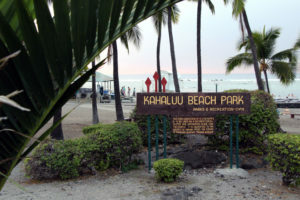 Save Kaimana Beach, in particular, has been pushing for the memorial to be demolished to make way for more sand that would abut their namesake and increase the size of the beach area. Apo said the governor and mayor have essentially “thrown down the gauntlet” by ignoring the concerns of Friends of the Natatorium. 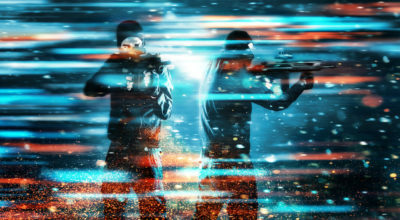 The group is now considering legal action as well as other avenues to slow down the project. 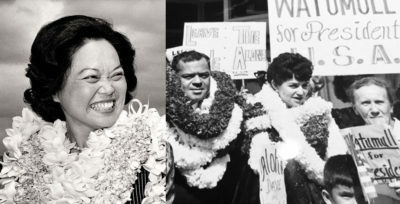 Neither Abercrombie or Caldwell feigned ignorance about possible lawsuits, and instead pointed to the feasibility of restoring the Waikiki Natatorium. It’s more expensive, they said, and also doesn’t make sense from a recreational standpoint. Caldwell even likened swimming in the Natatorium to swimming in a tank because of the four-foot-tall walls that block views of the ocean. 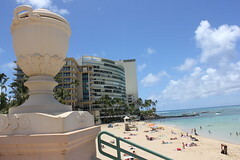 A view of Kaimana Beach from inside the Waikiki Natatorium. Abercrombie was more stern, and said it’s time for the bickering to end. Abercrombie and Caldwell’s plan is light on details at this point, but it seems to be the furthest along of anything that’s come forward since the Natatorium was closed. The project gained momentum when Mufi Hannemann was Honolulu’s mayor, but sputtered out under the Peter Carlisle administration. In some ways, Caldwell is picking up where he left off when he was Hannemann’s managing director. Caldwell said Tuesday that he helped form the task force that ultimately chose the plan he and Abercrombie agreed upon for the memorial. 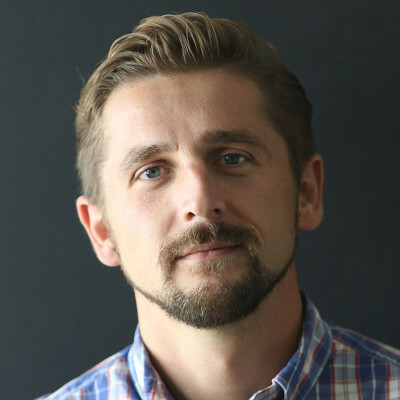 Now the city will continue working on a $1.2 million environmental impact statement that was halted last spring, a controversial decision that had many crying foul about wasted resources and a lack of transparency. Caldwell said the money has already been set aside to complete the study, which is expected to take another six months. At that point there will be another opportunity for public review. Beyond that details are fluid. 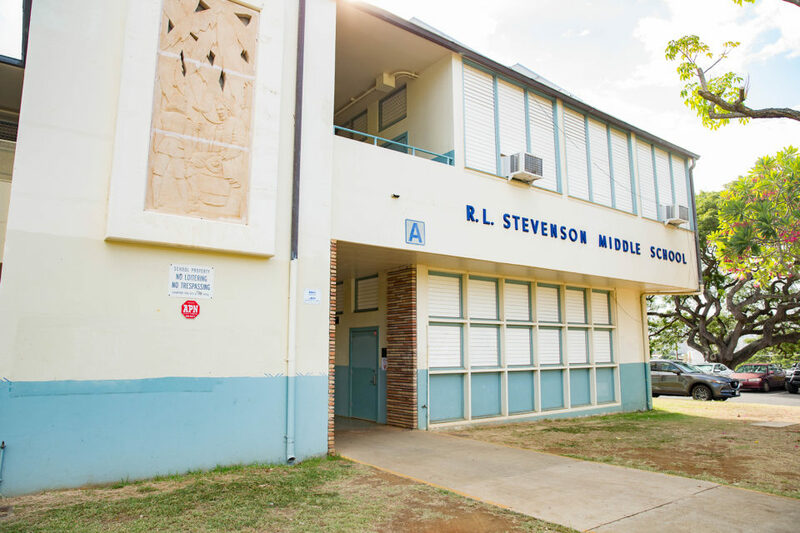 Officials hope demolition and construction can begin in 2015, and they expect that work to take a couple of years. The money isn’t secure either. Abercrombie will have to convince the Legislature to include funds in a future budget. 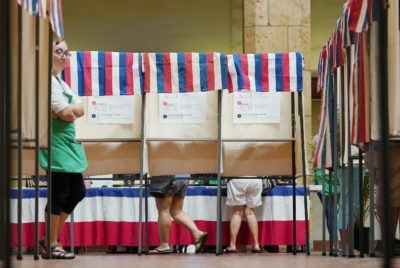 Caldwell will have to do the same with the Honolulu City Council. It’s also unknown who will pay for what, since both the city and state have responsibility for the Natatorium.